The Indian economy is entering a period of uncertainty and volatility. So be prepared for a bumpy ride. Despite the good gross domestic product (GDP) numbers for the third quarter of 2017-18 (October-December 2017), we need to be prepared for a bumpy ride in the coming fiscal year.This is not to deny the revival of economic activity after the demonetisation and goods and service tax (GST) speed breakers. The third quarter GDP figure of 7.2 per cent is encouraging, and the recovery has been broad based. The Central Statistics Office’s second advance estimate of GDP for the year is now up from the earlier projection of 6.5 per cent to 6.6 per cent. Ever since the General election results were known, both the Madhesi groups have been in talks with the UML leaders for joining the government provided their basic bottom line demand of amending the constitution is accepted. We had also in the updates said that it is in the interest of the Madhesis and in the larger interest of stability of the country that the two groups join the government. The final results of the elections in the Parliament showed that though the UML- Maoist Centre had a comfortable majority, it did not have the magic number for a two third majority to make suitable amendments to the constitution. The Party in the post–Mao era has been able to manage its “miraculous” rise in large part because of an extraordinarily benign and supportive international environment. For more than four decades, for example, U.S. presidents have believed it was in America’s interests to support the integration of China into the international system. Other countries have even longer histories of “engagement” of Beijing. Engagement was premised on the notion that China’s political system and economy would evolve in positive directions, and Americans and others acted accordingly. 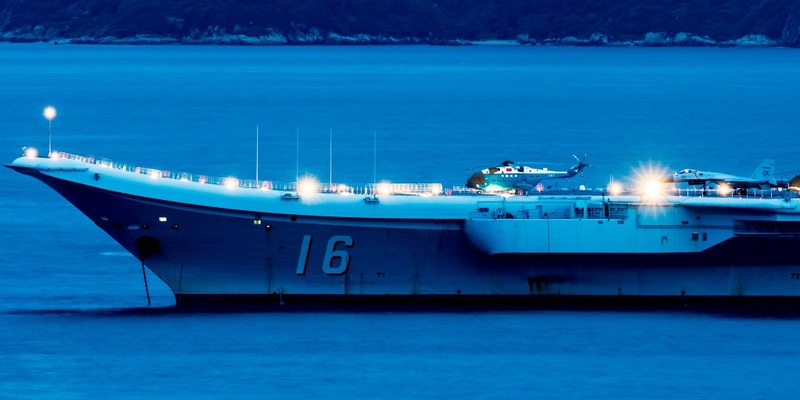 Bottom Line: With the stated national goal of achieving ‘great power status,’ China’s military modernization efforts have contributed to rising tension in the Asia-Pacific region, as well as between China and the United States. China’s growing ability to project military force – buttressed by the opening of its first overseas naval base in Djibouti, its artificial islands in the South China Sea and rapid naval advancements – is a worrying development from the perspective of the U.S. and its allies, as China seeks to reshape the existing international order. Editor’s note: As you may have noticed, an earlier version of today’s GPF Weekly was delivered with the filler text we use in our email templates. We regret the technical error. Please accept this corrected version – and our sincere apologies. This week will be an auspicious one in China’s long and storied history. Chinese lawmakers are expected to rubber stamp a proposal by top Chinese Communist Party officials to abolish term limits on the presidency. It is a major break with more than 40 years of Chinese political norms, and it puts an inordinately large amount of power in the hands of a single person: President Xi Jinping, who is already a peerless figure of authority in China and who, after all, presumably initiated the abolition of term limits in the first place. ISTANBUL (Reuters) - Turkish forces and their Syrian rebel allies seized control of the town of Jinderes on Thursday, the state-run Anadolu news agency reported, giving them control of one of the largest settlements in Syria’s northwest Afrin region. A Turkish-backed Free Syrian Army fighter gestures after Free Syrian Army forces took control of Kafr Jana village, north of Afrin, Syria. The Turkish army and its allies from Free Syrian Army (FSA) factions pushed fighters from the Syrian Kurdish YPG out of the town center on Thursday following intense clashes, it said, adding that operations to secure the area were continuing. A visit to Israel's increasingly tense border with Syria makes clear that the ground units of the Israeli Defense Forces (IDF) are building their own "air force." The clear benefits of tactical drones have driven the ground forces to deploy more and more aircraft and this has reached the status of a real revolution. TEL AVIV: When visiting the increasingly tense border with Syria, one with trained eyes cannot miss the signs — the ground units of the Israeli Defense Forces (IDF) are building their own “air force.” The Israeli army’s air force started as “private” initiatives of senior commanders on a “initial test” basis, but the clear benefits of tactical drones have driven the ground forces to deploy more and more aircraft and this has reached the status of a real revolution. Italy’s March 5 parliamentary election, in which anti-establishment parties won half of the vote, has caused a political earthquake with the potential to reshape Italy, Europe’s future, and even how populism impacts democracy. Traditional political forces on the left and center are foundering. What will take their place remains to be seen both within Italy and in Europe as a whole, which remains split between its “Franco-German liberal democratic core” and illiberal democratic regimes in Hungary, Poland, and now potentially Italy. As expected, the Italian vote resulted in a hung parliament with no party or bloc receiving enough votes to govern by itself. Most experts doubt that a new government will be in sight when the upper and lower chambers of parliament meet on March 23 to elect their respective speakers. As a consequence, there will be possibly months of political haggling, as has been the case following almost every major European election in the past year except for the one in France last May. The Nuclear Posture Review (NPR) released last month called for the development of a new low yield warhead and new delivery systems to address shortfalls in existing deterrent capabilities. It proposed that a present capability, dual-capable aircraft, to deliver low-yield nuclear weapons be augmented by the development of a low-yield ballistic missile. For sea-based weapons, the NPR called for using existing D-5s to carry a modified, lower-yield W-76 nuclear warhead within the next few years, and a new sea-launched cruise missile added in the 2030 timeframe. These capabilities are sought to address current limitations in the U.S. non-strategic force posture in the face of potential Russian aggression against NATO. WHEN THE MYSTERIOUS entity known as “Shadow Brokers” released a tranche of stolen NSA hacking tools to the internet a year ago, most experts who studied the material honed in on the most potent tools, so-called “zero-day” exploits that could be used to install malware and take over machines. But a group of Hungarian security researchers spotted something else in the data, a collection of scripts and scanning tools the NSA uses to detect other nation-state hackers on the machines it infects. Last week, President Donald Trump’s announcement that he would be slapping steep tariffs on imported steel and aluminum set off fears of a global trade war. But in reality, the international trading system has been unraveling for some time. After taking a quick glance at the World Trade Organization today, one might be excused for believing that it is a dead man walking. The US nuclear arsenal remained roughly unchanged in the last year, with the Defense Department maintaining an estimated stockpile of some 4,000 warheads to be delivered via ballistic missiles and aircraft. Most of these warheads are not deployed but stored, and many are destined to be retired. Of the approximately 1,800 warheads that are deployed, roughly 1,650 are on ballistic missiles or at bomber bases in the United States, with another 150 tactical bombs deployed at European bases. Director of National Intelligence and former U.S. Senator Dan Coates recently told Congress that the greatest threat our country faces is our own vast and growing national debt. During the 2016 Presidential campaign JCS Chairman General Joseph Dunford gave the same message to both candidates. No one, it seems, is listening. When I served on Capitol Hill as a staffer in the 1970s and 1980s, the two parties fought fiercely over whether to fund more domestic programs and cut defense spending or do the opposite. Now, that fight is over. Both parties in Congress agree that we will just give everyone whatever they want and borrow the money to pay for it. The latest budget deal is merely one example. The West’s approach to Russian cyberwarfare is foundering. Many Western governments appear immobilized by the fear of escalatory counterattacks, but this is surrendering to Moscow. The West is in the middle of an undeclared cyberwar with Russia. The problem is, few Western leaders want to publicly acknowledge this or, apparently, do much about it. If Washington hopes to get European allies on board with its new, more competitive approach to Russia, it will have to start by leading the West in a clear-eyed assessment of the situation at hand and taking concrete steps to turn the tide through offensive cyber operations. The Department of Defense under Secretary of Defense James Mattis has begun to prioritize great power competition over terrorism for the first time in nearly 20 years. This has had reverberations in capability needs and funding requests. 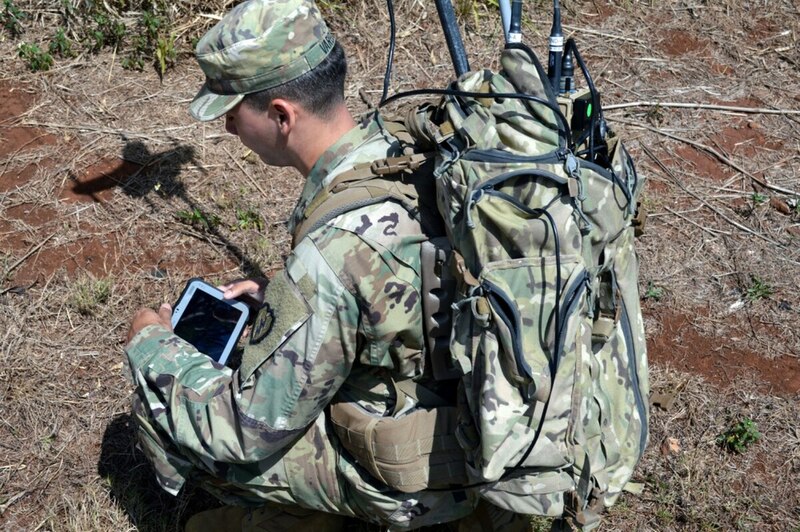 As such, one of the top needs for the Army’s highest intelligence officer is the development of a new platform that combines offensive electronic warfare capabilities with intelligence. The Department of Defense under Secretary of Defense James Mattis has begun to prioritize great power competition over terrorism for the first time in nearly 20 years. This has had reverberations in capability needs and funding requests. 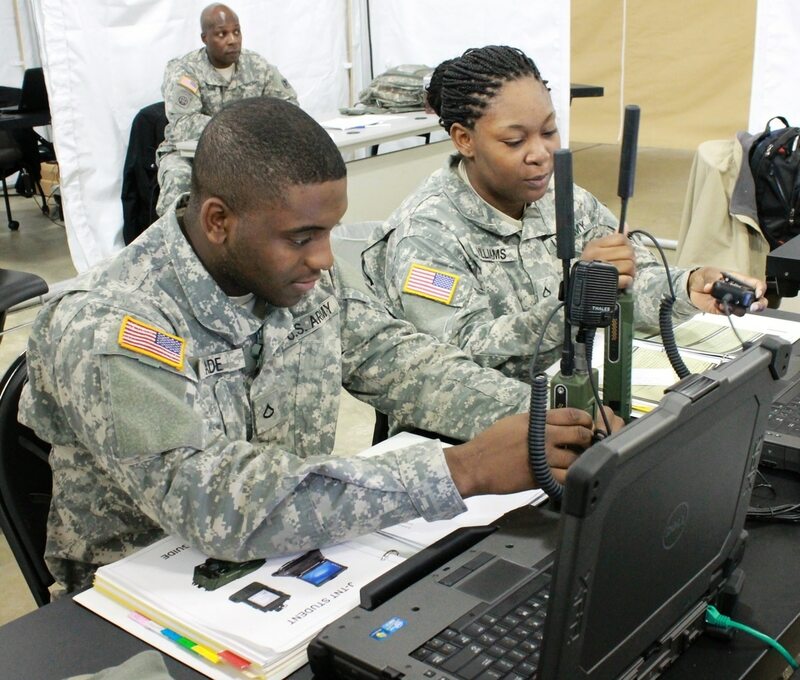 As such, one of the top needs for the Army’s highest intelligence officer is the development of a new platform that combines offensive electronic warfare capabilities with intelligence. Aside from fixing the Distributed Common Ground System, “The No. 1 priority I have … is really getting some meat behind this thing we’re calling the TLIS, which is the Terrestrial Layer Intelligence System,” Lt. Gen. Scott Berrier, the Army’s director of intelligence, told C4ISRNET following a keynote presentation at the Army Signal Conference hosted by AFCEA in Springfield, VA March 3. For over 20 years, these initiatives have been critical to a range of cybersecurity solutions. Perhaps 85 percent of the critical infrastructure (the number varies depending on who is doing the guessing) is owned by the private sector, so government cannot do it on its own. The first White House cyber strategy of 2003, for example, said the “cornerstone of America’s cyberspace security strategy is and will remain a public-private partnership” and used the word “partner” or “partnership” over 60 times. But while there have been various frameworks and analogies for successful PPPs, there have been few which compare the fundamental relationship of control between the public and private sectors. This ignores key questions: Which sector has the presumptive legitimacy to deal with the issue? Which sector holds the key decision makers? Which sector has the most relative strength to fix the problem? The U.S. government is likely the largest combined producer and consumer of software in the world. The code to build that software is volatile, expensive and oftentimes completely hidden from view. Most people only see the end result: the compiled and packaged application or website. However, a massive worldwide community, the Open Source Initiative, centers on the exact opposite. Open source enables a development method for software that harnesses the power of distributed peer review and transparency of process. Although open source technology is not new, its effects can still be disruptive in many ways. The government has only recently been serious about contributing to this initiative, a nonprofit formed in 1998 as an educational, advocacy and stewardship organization. The Department of Defense has traditionally treated the majority of source code as sensitive, nonexportable information. This attitude has placed most open projects behind heavy use restrictions and government-access-only barriers. 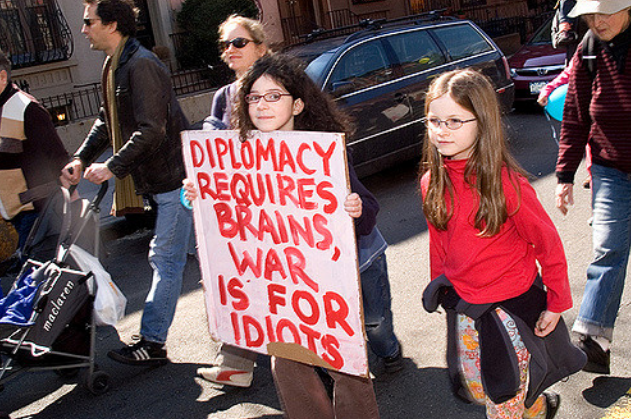 Strategic communication is an important aspect of foreign policy that seeks to communicate messages to a target audience. The term has been used rather ambiguously, but can be summed up as the coordinated actions, messages, images and other forms of signaling or engagement intended to inform, influence, or persuade selected audiences in support of national objectives (Paul, 2011). Key aspects of the concept that pave the way for success include effectively informing, influencing, and persuading audiences, having clear objectives, coordination of individuals involved within the communication apparatus, and backing up words with actions. (Paul, 2011). One notable instance where the U.S. employed strategic communication has been during the last two decades in trying to communicate their interests and ideas to the Muslim populations within the Middle East with the ultimate goal of defeating the driving forces behind terrorism. The U.S. efforts of strategic communication have been largely seen as a failure and it is imperative that military and political experts find ways to improve the effort if future success is desired. Deloitte, which is building a substantial cyber warfare portfolio, put on a Capture the Flag game where five teams of college hackers had to find code clues and evade traps. The real prize: recognition at one of the military’s biggest cyber conferences and exposure to hundreds of cyber companies.